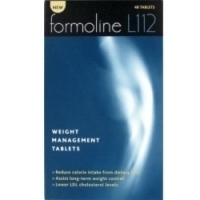 Formoline L112 is billed as a weight management tablet rather than a slimming pill. It is a familiar product that is available to buy over the counter, in store at many outlets that stock slimming, diet and weight management products – Boots and Superdrug are two major stockists. The naturally sourced fibre that Formoline L112 contains, binds itself to fat so it’s not absorbed and leaves the body naturally. ?-1,4 polymer of D-glucosamine and N-acetyl-D-glucosamine from shells of crustaceans, specification L112. Free from flavour enhancers, preservatives, colouring agents, gelatine, gluten, lactose and cholesterol. The inclusion of extracts of Shells and crustaceans is similar to Chitosan – to date Chitosan has no long term safety data compiled. For weight reduction take 2 tablets, twice daily. 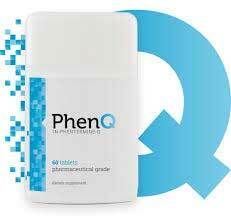 For weight maintenance take 1 tablet, twice daily, with 2 main meals. x1 pack of 48 is just under a months supply. In store at Tesco, Superdrug as well as high street chemists such as Boots and Superdrug.